So you like Stranger Things and its weird and creepy throwback 1980s style? Well, have I got the comic for you! From the brains that gave us Saga and other greats comes Papergirls, a girl gang of super awesomely average proportions. With the hyper manic full color saturation palate of the late 1980s, we meet our main character on the first day of her paper route. 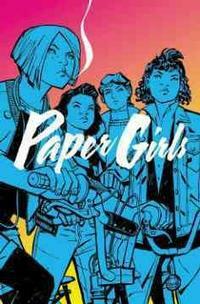 After being bullied by the local paperboys, she joins up with the other papergirls who come to her rescue. Only... paperboy bullies are kind of the least of her problems today—there’s a zombie dude who is attacking people, some unhinged parents making bad choices, and a mysterious other thing that I don't want to spoil for you. Our Papergirls won’t go quiet into that good night though, they are ready and able to rise to the challenge. I’m super excited to read the next story arc because I NEED TO KNOW WHAT HAPPENS. On a lighter and less "saving the world" vibe, we have the lovely and awkward Jonesy. 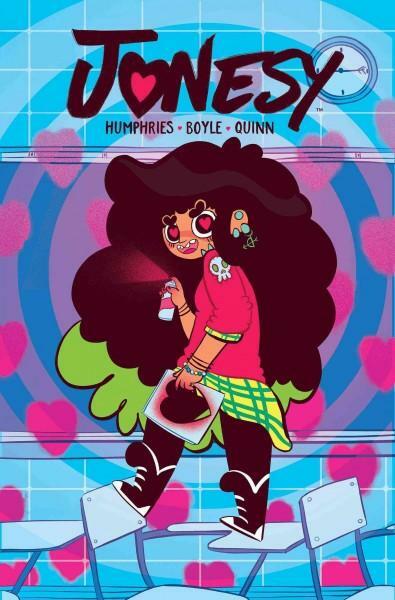 She loves anime, her pet ferret, the rock star Stuff, and works in her dad’s donut shop (called Donut Worry, Be Happy – genius!) while despairing over ever having someone fall in love with her. However, Jonesy has a superpower—she can make people fall in love. Fall in love with each other, with food, with the idea of getting a tattoo—just all the love and obsession that a teenage girl can muster. She uses this power to punish those who mess with her, as a distraction when she wants to escape a sticky situation and sometimes just because. But like most super powers wielded by teens, it doesn’t always have the effect intended and what follows is some Keystone Cops-style shenanigans and hijinks. 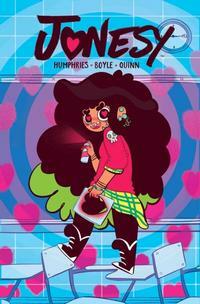 If you love wacky and relatable best friends and pet ferrets, then I highly recommend entering Jonesy’s world. After a video of her burning her hair goes viral, Beth Ross finds herself in an odd place: on the ballot for President of the United States as a protest vote. There are a lot of twists and turns in this one, like the State of Delaware being owned by a tech genius, the President going on an apology tour of all the countries America has wronged, and obviously some super fly hairstyles. 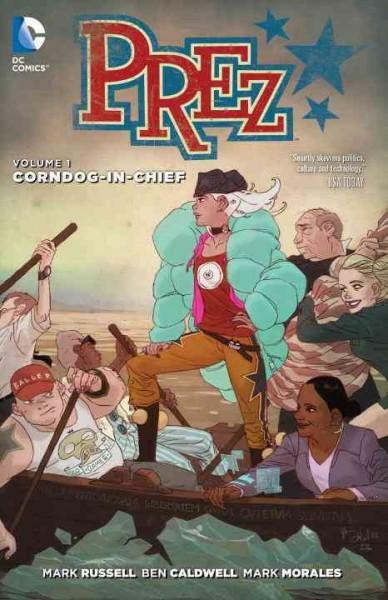 I can’t decide if this is the ultimate fantasy comic or like a really prescient insight into our inevitable future. Either way, Prez is not so much comforting as it is fun and thought provoking. Seriously, though—Corndog Girl for President! Check out these titles and others in our catalog or let us know in the comments what comics starring teen protagonists you are reading or recommend!